Toronto, 7 Oct. 2014 - Ontario’s Environmental Commissioner says the government should commit to end logging in its flagship provincial park. In his 2013/14 Annual Report Managing New Challenges released today, Gord Miller pointed out that logging is banned in all of the other 338 provincial parks in Ontario. 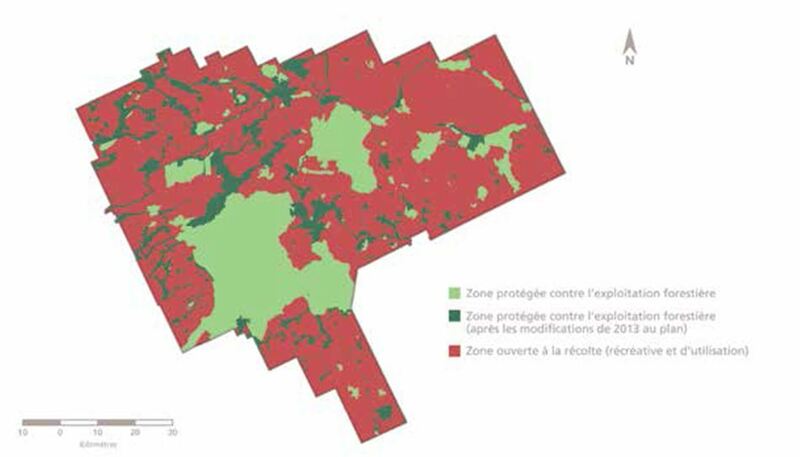 The government recently reduced the area of the park open to logging, but almost two-thirds of Algonquin is still potentially open to timber harvesting. (See map below.) Miller says logging in Algonquin is unnecessary, as there is an ample wood supply in the areas outside of the park. The chapter “Cutting into Ecological Integrity: Commercial Logging in Algonquin Provincial Park” is on page 85 of the report Managing New Challenges which you can download at www.eco.on.ca.